Just in time for Thanksgiving, EA has decided to show off the free Battle of Geonosis DLC for Star Wars Battlefront II. While Star Wars Battlefront II released over a year ago, EA has been steadily supporting the game since its controversial release. They have had a roadmap revealing the planned content for the game available since July, with General Grievous being the last character released in October. The newest piece of DLC, Battle of Geonosis, will add a character fans have been clamoring for since the release of Star Wars Battlefront. Obi-Wan Kenobi is the newest addition to Star Wars Battlefront II, with a variety of new techniques in his arsenal, making him a competitive hero to play with in-game. One of his abilities is lifted straight from the films, specifically the use of mind tricks, giving him power to prevent enemies from using their own abilities. 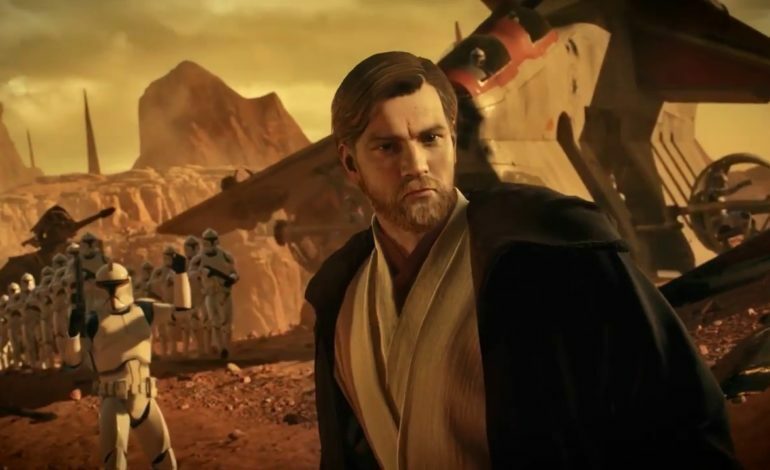 Also, if it isn’t obvious, this version of Obi-Wan Kenobi comes straight from the prequels, fitting in with the theme of the DLC being primarily based around the second trilogy of films released in the franchise. Alongside Obi-Wan Kenobi comes the titular Battle of Geonosis map, with two phases as to better emulate the battle seen in the series. Three new vehicles will also be coming to the game, adding more content to the game and pleasing many fans with long-awaited vehicles like the AT-TE. The next set of DLC chracters for Star Wars Battlefront II will also be a duo of a hero and a villain, the same as this season with Obi-Wan Kenobi and General Grievous. This subsequent DLC will include Anakin Skywalker and Count Dooku as stated in the roadmap that was released in June. You can expect both characters to be released sometime this winter. The Battle of Geonosis DLC for Star Wars Battlefront II will be available for free on November 28, 2018.